Advertising is the heart & soul of a growing blog. It’s the advertising that pays for our hosting, domain & gives us an ample amount of reasons to continue blogging, either as a part-time hobby or as a full-time profession. When it comes to managing ads on WordPress, one can easily do this using WordPress widgets or by editing the WordPress theme file. 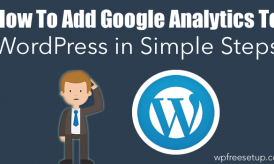 Adding ads using WordPress widgets are good enough for those who are starting out with blogging, but when it comes to making real money from advertising, using an ad management WordPresss plugin is recommended. Also, editing the WordPress theme to add ad codes is not a piece of cake for everyone. Run various ad types: This could be running AdSense ads, Media.net ads, affiliate ads, or running your own product ads. Mobile/desktop ad: There is no point of serving the same ad to the desktop & mobile site if it’s not a responsive ad. You also don’t want to show advertisements on a mobile site when the advertising landing page is not mobile-friendly. In this hunt for the best ad management WordPress plugin, I’m also considering a plugin that lets us show different ads based on screen size. Monitor number of clicks: When running a direct ad or an affiliate ad, you should be able to see how many clicks you are getting. 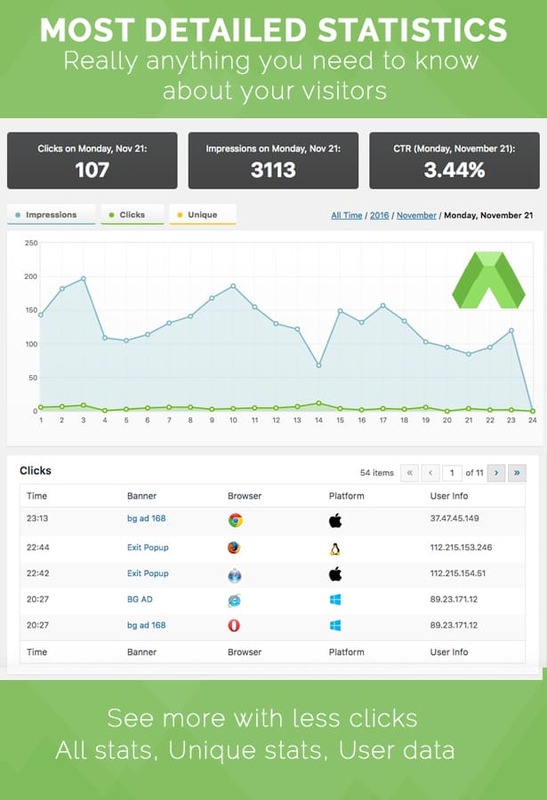 Ad performance statistics is a must-have feature. Run A/B test for ads: Obviously, different ad images will yield different results. An excellent ad manager plugin should able to run 2 or more different ads on the same spot & tell you which one is giving a better CTR. Rotate ads: Ad blindness is real & a plugin that can rotate ads based on placement or other factors ensures your regular readers doesn’t face ad blindness. Conditional advertising: Don’t you want to show targeted ads based on categories, tags, or even specific blog posts? Well, this is what a good plugin should help you achieve. If not, you would be showing irrelevant ads on various posts & missing out an opportunity to earn more from your blog adverts. Apart from these, there are other advanced options like geo-targeting, anti-ad blocker & a few others that a WordPress ad management plugin should offer. Considering all the above factors, and some other features (such as being well-coded & well-maintained), I have compiled this mega list of best ad management plugins for WordPress that you can use for your blog. If you are using any basic plugin, it’s a good time to ditch it for these plugins as they will start getting you better results. When it comes to advertising management plugins for WordPress, there are plenty of free options. However, you should pick one that is reliable, updated often, and ensures it doesn’t affect your hosting. It took me hours to find these well-maintained & reliable plugins. Many of these plugins are free & available from the WordPress plugin repo, and some of them offer paid options which are optional but offer advanced features. I have carefully listed out only those plugins which are also supported by the developer in the help forum (WordPress or the plugin’s own support forum). What’s the point of trying a plugin & getting stuck in between without any support? Many of these plugins are from CodeCanyon, which are paid but well worth your time and money. They are all well-maintained & have great reviews from existing users. Since I’m researching for the best ad management plugin for use on my own WordPress blog, all the listed solutions are of high quality & you should pick one that suits your need the most. So, without further delay, let’s look at some of the best advertising plugins for WordPress that will help us all make more money from our blogs! For those who are looking for one plugin that can manage ads from ad networks such as AdSense, Media.net, or any other, along with HTML banner ads (direct or affiliate ads), look no further than Advanced Ads. This plugin is constantly updated & with 200+ 5-star ratings, it’s one of the best solutions out there. The Advanced Ads plugin comes in both free & pro versions. Displays ads based on various logics including categories, tags, custom post type, etc. Excludes ads to be shown from specific posts. Places ads automatically between content, after or before post, or show ads using shortcodes or by editing the functions file. Supports showing ads on WordPress feeds. Hides ads from 404 error pages (useful for AdSense users). Supports showing or disabling ads based on the user’s device. Supports almost all ad types (AdSense, Media.net, DPF, HTML banner ads, affiliate ads). Overall, this is a great free ad Manager WordPress plugin. You can download the free version from the official WordPress repo here. The advanced features are offered by various add-ons. 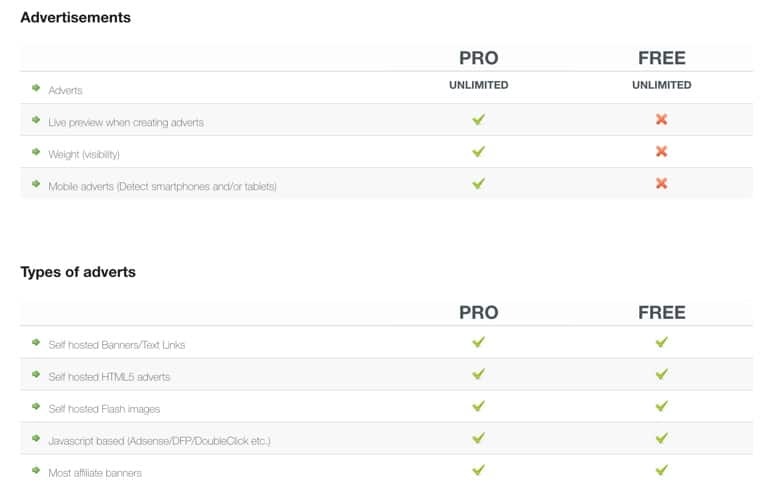 Depending upon your need, you can pick only 1-2 pro add-ons that you need for your site. You can check out the list of pro addons here. Refreshes ads without reloading the page. Displays ads based on day of week. Cache busting (allows dynamic features for websites with cache, 2 different methods offered). Useful analytics & stats are available with the Stats Addon. Automates ad selling with Selling Ads Addon. Sell based on clicks, days, impressions, or other custom conditions. Great for those who are looking to sell direct ads on their WordPress blog. Supports PayPal, Stripe, or other WooCommerce payment systems. Advanced geo-targeting. Shows or hides based on geo-location of visitors. This feature uses GeoLite2 data by MaxMind. Most of their pro addons cost about 29 Euros. However, you can get all addons for one site for 69 Euros from here. Personally, I find this one to be a complete value for the money if you are planning to use more than one of their pro addons. If not, the free version is good enough to help you get started & run any advertisement on your blog. The plugin also comes with a detailed manual & support that is top notch. This is another plugin that is constantly updated and comes in both a free & pro version. 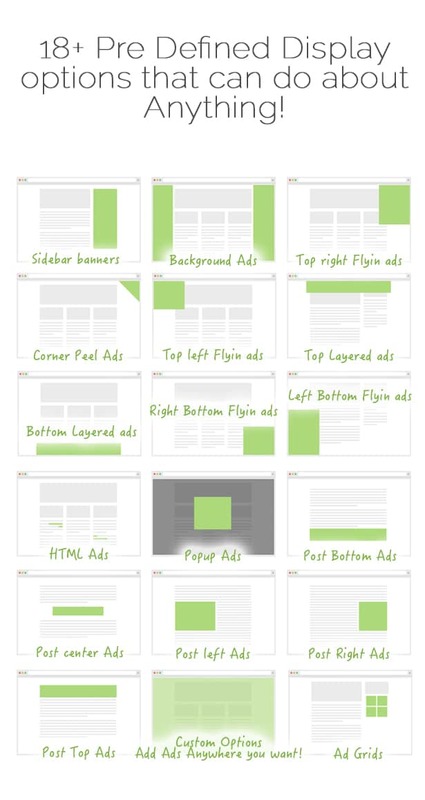 The free version offers all basic ad management features that you need to run ads from contextual ad networks like AdSense, or run your own HTML banner ads. That said, I would not use this plugin for AdSense & recommend this plugin only when you are planning to run direct ads. Piwik or Google Analytics integration for statistics. Excluding of clicks or impression from logged in users. Advertiser management option for selling direct ads. Overall, AdRotate is another great ad management solution for WordPress that supports grouping of ads & rotating ads based on different conditions. Also, if you are looking to migrate ads from any existing WordPress ad management plugin, you can use the AdRotate switch plugin. This one is from CodeCanyon, and with over 5000 sales, this is one of the best ad manager plugins out there. This plugin comes pre-built with many ad placements & supports all major ad types including AdSense. What you may enjoy the most are the advanced statistics displayed within a beautiful UI. 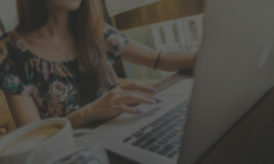 The plugin costs only $29, putting it in direct competition with other two advertising management plugins listed above. AdPlugg which seems to be a good solution for running your own ad server. I was hoping to find more plugins which adequately let us manage ads, but there are only a few quality ones that deserve to be listed here. I will keep my eyes & ears open for new plugins that deserve to make it onto this list. For now, I look forward to reading your comments on which plugin you are using on your blog to run or manage ads. What do you think is the best WordPress ad management plugin? Let me know in the comments! Thanks for appreciating. I am glad that my work is helpful for you. Thanks Harsh for such a wonderful sharing. I am going to install Advanced ads plugin, but where from I will get help for settings? Hi Harsh, thanks for your ad plugin roundup. Based on my experience with one of the above plugins, the “ad rotation” function will not work on a WordPress site that uses a CDN (content delivery network). I recall having tested the ad plugin with Cloudflare and MaxCDN. I also tried two different types of caching plugins. Same results, no ad rotation. Other than that, the ad plugin could display static ads correctly. Aggressive caching is real issues when working with ad plugin for Ad rotation. Right now I’m testing these plugins one by one on our blog & let’s see how they perform. We do have aggressive caching (Hosting + Cloudflare) & it would be great to see how this plugin delivers everything they promise. I would be reaching out to plugin developer in case if anything doesn’t work out. Hi Harsh, looking forward into your testing outcome. In my case, the plugin developer told me: “get faster hosting” … which is not a solution to me. Right now, I can’t afford dedicated hosting. Well, this is one advice I would give to any blogger. Once you start making a decent income (enough to pay for all expenses for the blog), shift to managed WordPress hosting. I did that for ShoutMeLoud & WPSutra. Initially, I was feeling that I’m paying too much (from $30/month to $299/month), but within months this helped me grow my business more. I could do much more with WordPress blog & this is the same advice I would give to you. When you think you are ready, move to managed WordPress hosting. Hi Harsh, I appreciate your advice and recommendations. I will grow bigger someday for sure. Thanks again! Awesome one! I was really in a need of the best plugin for Ad Placement. As now i have chosen “Ad Rotate”. Hi Harsha, I have 90% traffic from mobile’s (AMP pages) ,CTR is low (below 1%). Can u pls tell me which plugin is best for me ?? I am using only Adsense. Sites have good traffic but low ctr because of mobile traffic.